A new Rory Gallagher career-spanning collection, Blues, will be released May 31 via Chess/Ume. Drawn from the vaults of the Gallagher estate's tape archive, the package presents rare and unreleased recordings of Gallagher playing his favorite blues material. 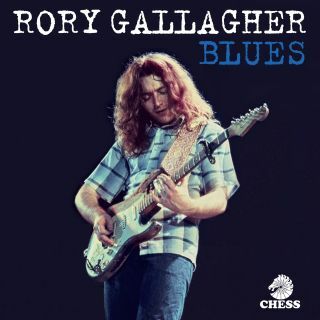 Ranging from previously unreleased tracks to special guest sessions with legendary blues artists (Muddy Waters, Albert King) and lost radio sessions, Blues uncovers Rory's love of the blues throughout his solo career, from 1971 through to 1994. Blues will be released as a 16-track CD and digital edition; 2-LP vinyl and limited edition 2-LP blue vinyl editions; and a deluxe 36-track 3-CD and digital edition. The Deluxe Edition boasts 90 percent unreleased material and features performances with legends such as Muddy Waters, Albert King, Jack Bruce, Lonnie Donegan and Chris Barber. The 3-CD Deluxe Edition also includes an extensive booklet with previously unseen pictures of Gallagher, plus a new essay by writer Jas Obrecht. Blues is available for pre-order here. You can check out the full track list below.